Learn about what's involved to execute a successful project, including how to develop a project plan, assign milestones, and working through a project charter. This is a one-day program for nurses in managerial and leadership roles to understand the phases of the project management process. Describe the role of project management and the project manager in health-care environments. Discuss the key challenges related to managing projects in a health-care environment and how to overcome them using project management processes. 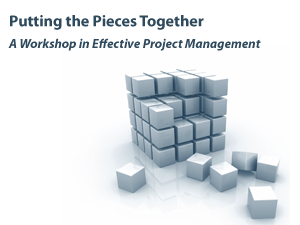 Understand the five phases of the project management process and 10 knowledge areas. Online registration closes April 5, 2017. Please note there will be a fall workshop offered on August 14, 2017 if you are unable to attend this April workshop. Please email Grace Wong, Event Planner, at gwong@RNAO.ca should you have any questions about this workshop.